Also called Depression or Classical Moderne, PWA/WPA Moderne is a stripped down Steamline (Art) Moderne with a little Zigzag ornament added. PWA/WPA Moderne structures reflect a greater use of conservative and classical elements and have a distinct monumental feel to them. PWA/WPA Moderne buildings were completed during the Great Depression as part of various government relief projects sponsored by the Public Works Administration (PWA) and the Works Progress Administration (WPA). The government created jobs for architects, designers, and builders by putting them to work, creating hundreds of government and civic buildings, including post offices, train stations, public schools, museums, bridges, and dams throughout the United States. In the private sector, the style was a favorite with bankers because it denoted a sense of authority. 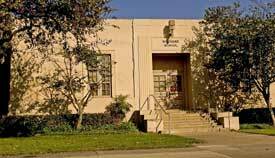 During the Depression years, the city of Fullerton requested and received more state and federal relief funds than any other city in Orange County. The result was a very large number of projects built under the auspices of the PWA/WPA programs. 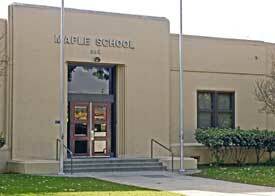 Following the 1933 earthquake, the Maple Street School (1936) at 224 E. Valencia Drive was reconstructed in the WPA Moderne style. 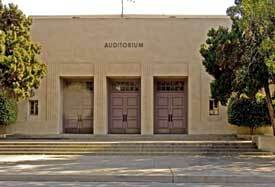 That same year, a new Wilshire School and Auditorium at 315 E. Wilshire Avenue (now part of Fullerton College ) was also constructed in this style. Greif, Martin. Depression Modern: The Thirties Style in America. New York: Universe Books, 1975. Prosser, Daniel. "The New Deal Builds: Government Architecture during the New Deal." Timeline vol. 9, no. 1 (1992): 40-54. United States. Public Works Administration.America Builds: The Record of PWA.Washington, D.C.: PWA, 1939.